Each circuit is permitted to hold an annual judicial conference for the purpose of considering the business of the Court. (28 U.S.C. § 333) In considering the business of the Court, the attendees suggest methods of improving the administration of justice within the circuit. On December 12, 1978, the Ninth Circuit Judicial Council adopted Council Order Judicial Conference of the Ninth Circuit (“Order”). The Order as amended through 1994 establishes the purpose, organization, and procedures of the Judicial Conference of the Ninth Circuit (“Conference”) and states that the Conference shall include “lawyer representatives, appointed among the districts of the circuit....” (Order, 2.a. (4)(c)) These guidelines have been adopted to assist the Court in selecting lawyer representatives. In addition to the United States Attorney and Federal Public Defender for the district, lawyer representatives shall be appointed in proportion to the authorized active district judgeships in the district. The current formula is the number of active authorized judgeships multiplied by 1.28, rounded to the nearest whole number. Lawyer representatives must be selected within 90 days after the beginning of the judicial conference year in accordance with the following procedure. 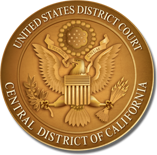 The Nomination Committee shall consist of the current Presidents (or their designated representatives) of the following: Los Angeles Chapter of the Federal Bar Association; Orange County Chapter of the Federal Bar Association; Federal Bar Association - Inland Empire Chapter; Central Coast Chapter of the Federal Bar Association; Los Angeles Bankruptcy Forum; Inland Empire Bankruptcy Forum and Orange County Bankruptcy Forum; Los Angeles County Bar Association; Orange County Bar Association; Riverside County Bar Association; San Bernardino Bar Association; San Luis Obispo County Bar Association; Santa Barbara County Bar Association; and Ventura County Bar Association. The Selection Committee shall consist of at least two district judges, one bankruptcy judge and one magistrate judge who are members of the Attorney Liaison Committee and a circuit judge chosen by the circuit administrative judge. The Nomination Committee shall submit to the Selection Committee a list of nominees consisting of eligible lawyer representatives approximately three times larger than the number to be selected. The Selection Committee shall select the lawyer representatives from the list of nominees. The Selection Committee may return the list of nominees to the Nomination Committee with a request for additional nominees if, after selecting qualified lawyer representatives from the list originally submitted, additional vacancies remain. The Nomination Committee shall submit an additional three nominees for each remaining vacancy. This process shall continue until all vacancies are filled. After filling all vacancies, the Selection Committee shall select four alternate lawyer representatives from the remaining nominees. Who, together with others selected, will constitute a fair cross section of practitioners before the federal courts of this district. The Nomination and Selection Committees shall consider the gender, ethnic, and racial diversity and the geographic and subject matter practice backgrounds of those who practice before the Court. Lawyer representatives selected must be representative of the entire district and must reflect the diversity of lawyers practicing before the Court. Lawyer representatives shall serve for a term of three years. One-third of the number of authorized lawyer representatives shall be appointed each year. A lawyer representative, with the exception of the United States Attorney and the Federal Public Defender, shall not serve as such for more than three consecutive years, nor be eligible for further service in such capacity until the expiration of one year following the end of his or her prior term. No two lawyer representatives may be from the same law firm, partnership or agency. Lawyer representatives who have completed their terms shall continue to serve as ex-officio members for a period of two years following completion of their three-year term. Although ex-officio members shall have the right and duty to participate in meetings with the lawyer representatives and judges, they will not be permitted to attend the Conference unless they are invited by the Chair of the Attorney Liaison Committee. Alternate lawyer representatives shall serve for a term of one year. At the conclusion of their one year term, alternates shall be added to the list of nominees for the vacancies created by terms expiring each year. Although alternates shall have the right and duty to participate in meetings with the lawyer representatives and judges, they will not be permitted to attend the Conference unless they are invited by the Chair of the Attorney Liaison Committee. The membership of the Selection Committee is set forth at Paragraph II.B.3. The Selection Committee, with sufficient notice to the Nomination Committee described in II.B.2. to permit compliance with the time requirements set forth in II.B.1., and in its sole discretion, may act as the Nomination Committee, in which case the Nomination Committee shall then serve as the Selection Committee. The membership of the Nomination Committee is set forth at II.B.2. The Attorney Liaison Committee may recommend changes to the composition of the Nomination Committee to the chief judge of the district. The Nomination Committee shall meet at least once a year, and its first meeting shall occur not later than March 1. At the initial meeting, the members of the Nomination Committee shall elect a chair. After the initial meeting, the chair shall provide the Clerk of the Court with a list of the names and addresses of the members of the Nomination Committee. The Nomination Committee may solicit lawyer representative applicants by any method so long as such methods are designed to notify attorneys practicing before the Court. The Nomination Committee shall review the qualifications of the nominees and recommend to the Selection Committee those nominees best qualified to fill the vacancies. The Nomination Committee shall deliver the list of nominees to the Selection Committee not later than June 1 each year. If, at any time during the course of a year, the number of vacancies due to resignation, removal, unavailability, or death significantly decreases the size of the lawyer representatives or the alternates, the Nomination Committee may solicit nominees for the vacancies, convene a special meeting to review the qualifications of the nominees, and recommend to the Selection Committee nominees to fill those vacancies. Lawyer representatives and alternates appointed to fill mid-term vacancies shall serve until the expiration of the term that was vacated. The Chair of the Attorney Liaison Committee shall maintain a current list of all lawyer representatives, with current office addresses and telephone and facsimile numbers. This list shall be provided to the Chief Judge and Clerk of Court. The Clerk of Court shall provide the circuit executive, as Secretary to the Judicial Conference, with a copy of the lawyer representatives list. The Clerk of Court shall also inform the circuit executive of the members of the Attorney Liaison Committee. Finally, the Clerk of Court shall notify incoming presidents of the associations listed in II.B.2. above of their committee obligations not later than February 1 each year.